Hi everyone. I recently read Steal Like An Artist by Austin Kleon. You need to read this great little book. There’s a part of the book that struck a cord for me at that moment. Here’s how that relates to me and using your body in the creative process. Let me begin by saying I don’t feel like a pure artist. I actually feel a little uncomfortable with an artist as a title. That may be what I’m striving for, and I try to bring artistry to my everyday. To be an artist? I’m not sure if that’s me. Perhaps in a life of eternal learning, I won’t ever truly reach that place, from my point of view. Just watch someone at their computer. They’re so still, so immobile. You don’t need a scientific study (of which there are a few) to tell you that sitting in front of a computer all day is killing you, and killing your work. We need to move, to feel like we’re making something with our bodies, not just our heads. If we just start going through the motions, if we strum a guitar, or shuffle sticky notes around a conference table, or start kneading clay, the motion kickstarts our brain into thinking. I began to look at the work I’d created and what had driven or hindered me in the process. I’m no athlete, I am an action guy. What I mean is, I like to physically move in my work. The blood flows, energy builds and my mind gets sharper. 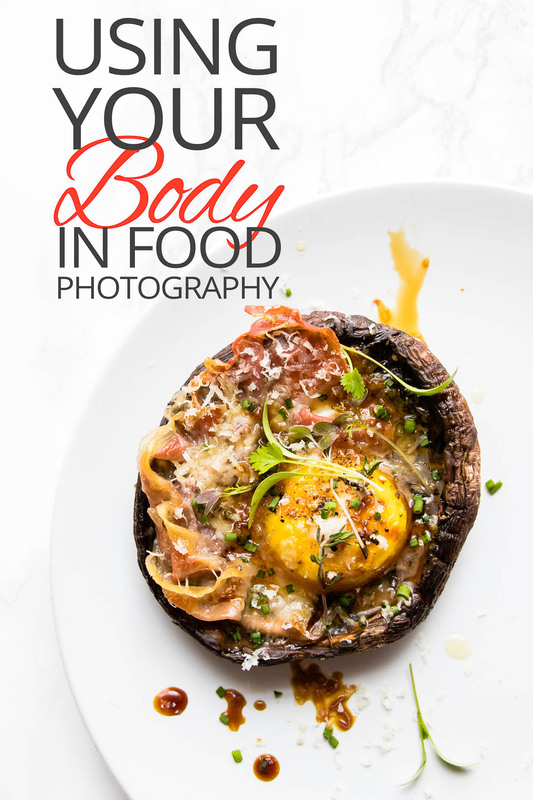 How is using your body relevant to food photography? Many people shooting still life, products, food and lots of stuff, use a tripod. Tripods are aces, they really are. You have to have one, preferably a good one. Clamping my camera on a tripod, immediately my action is limited. I feel the volume gets turned down, my energy takes a bit of a dip. I love to shoot handheld. The movement of working the scene, using your body to hunt down the crop, angle and glint of light, I believe, is a requirement for my kind of work. I’ve created work where I’m locked on a tripod. With a fixed scene, we’re basically styling what’s in front of the camera. There’s some movement in that, but not enough to sustain me for hours of working. Perhaps that’s why my blog posting is hit and miss. I don’t like to tether myself to a computer to write. This is also why I’m seriously considering vlogging and building my YouTube channel. I’ll be actively engaged and properly out of my comfort zone I might add. I believe physical movement actively gets my creative juices flowing. I’ve read many books and heard tons of interviews from Tony Robbins, Chase Jarvis, Marie Forleo and so many more. They all talk about exercise to get your day started. Exercise is physical movement. So it shouldn’t be a surprise when I read this in Steal Like An Artist. I realise using my body, moving, really engaging me to my work, makes me better at what I do. Raising my creativity and opening up the opportunity to create in a new way, maybe discovering something that excites me. I do not want to spend hours in front of my computer editing. It’s a buzz to push my skills and see how good I am or what needs improvement. Photography is a craft which comes from deep inside me. This need will never be satisfied by sitting at my computer fixing in post. That need is only met by using your body, mind, spirit and wits to get the shots. Being mindful and recognising what makes us tick, what sparks our own creativity is a gift that never stops giving. Self-awareness isn’t some pixies and fairy dust woo woo. It’s the key to everything you want to achieve. I recommend you pick up a copy of Steal Like An Artist and do more than that. Take a look at how you’re wired. What are some of the keys to your creativity? Delve in, have a good mooch about and see what you discover. I’d be fascinated to hear your thoughts on this.